THE BenRiach Distillery Company is delighted to celebrate its tenth birthday today (April 29). 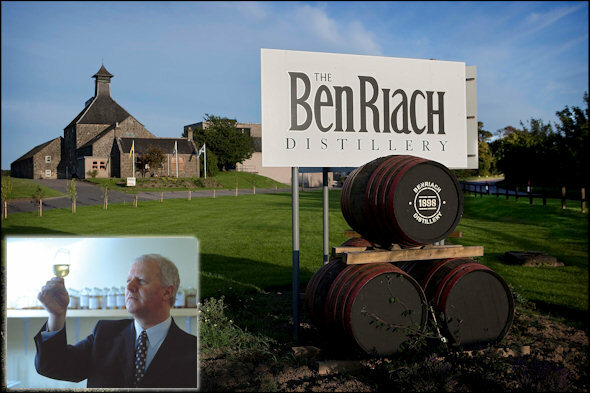 Back in 2004, Billy Walker and his two South African partners Geoff Bell and Wayne Kieswetter purchased BenRiach, turning it into one of Scotland’s most admired distilleries. At the time, renowned whisky writer Jim Murray said: “It was with delight, while sworn to secrecy, that I witnessed BenRiach gaining its independence, when a team led by the experienced and infectiously enthusiastic Billy Walker acquired the Distillery. This independence will allow BenRiach to unlock its secrets and bring its fine and surprising malts officially to the market in their natural state for the first time. There cannot be a single true lover of whisky who will not rejoice because of it." Production was resumed almost immediately. On August 7 that year, the first bottling of BenRiach under the new company took place while on September 20 the first distillation under the new owners was filled to cask. Two years later the company launched a five-line bottling plant in Newbridge before making its latest acquisition last year. Glenglassaugh, the renowned Highland single malt with its rich and distinguished heritage, was added to the expanding Highland and Speyside portfolio. The firm currently employs 120 people across its four sites. Over the ten years the three brands have won numerous prestigious awards including “Best International Business Award” in the 2005 Enterprising Scotland Awards and “Distillery of the Year” in the 2007 Malt Advocate Awards. Most recently, BenRiach, GlenDronach and Glenglassaugh won five main awards and a total of twelve medals in the 2013 Malt Maniacs Awards following that up with 10 medals at last year's International Wine and Spirits Competition, with all three brands scooping major awards.